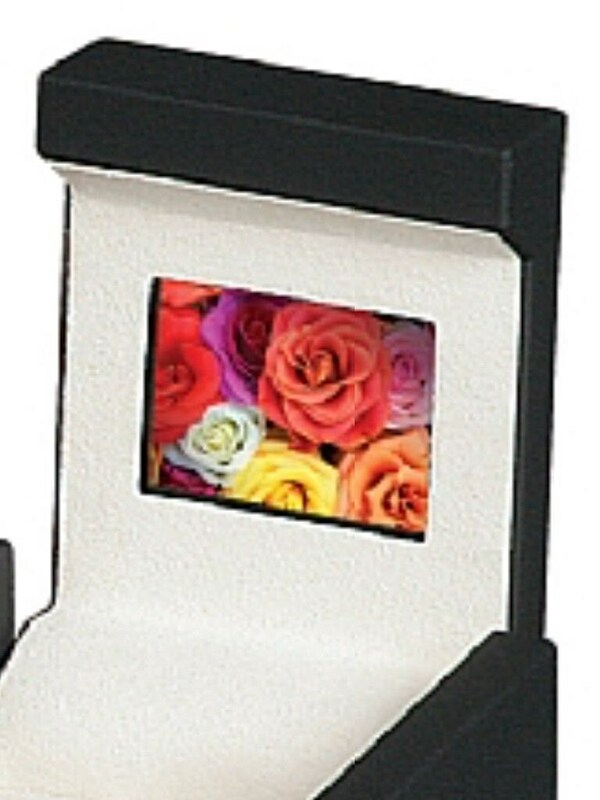 They say "A picture is worth a thousand words"
Designed For The Top Romantics Moments. 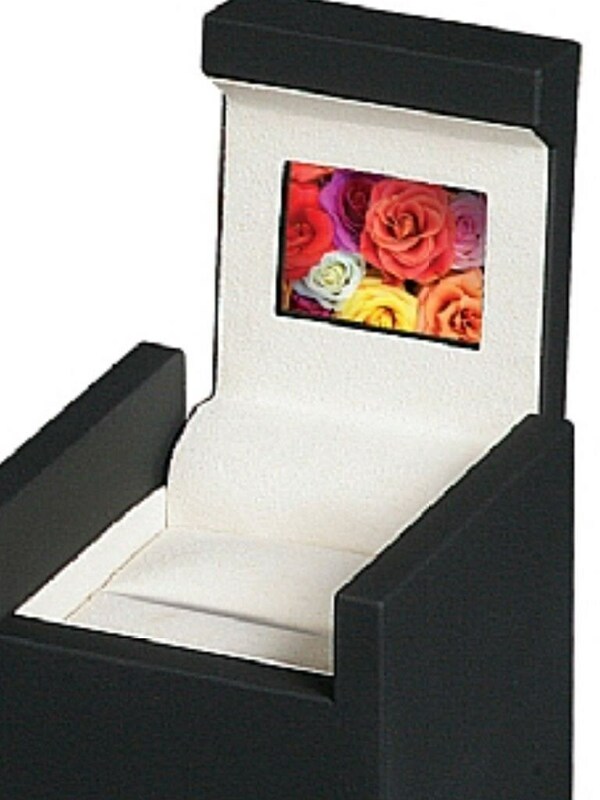 The Ring Box Features A Built-In LCD Video Screen. It Will Hold Up To 500 Images Or 30 To 60 Minutes Of Video. Please note* knowledge of video editing/uploading may be required.